Electricity consumers who bypass their meters will be forced to pay up to N450,000 as fine, the Nigerian Electricity Regulatory Commission has declared. According to NERC, financial sanctions ranging from N50,000 to N450,000 for meter bypass by power consumers have been drafted by it and have been endorsed by the 11 electricity distribution companies operating in the country. It was gathered that NERC’s decision was also endorsed by the Federal Government through the Minister of Power, Works and Housing, Babatunde Fashola. This is coming as the regulator revealed that it was perfecting plans to deploy prepaid meters in government’s Ministries, Departments and Agencies in order to avert future debt accumulation by the MDAs. The Vice Chairman, NERC, Sanusi Garba, while speaking on the prepaid meter issues raised in the zone of the Jos Electricity Distribution Company, told Fashola and other participants at the last monthly meeting of operators in the sector that the amount being charged as financial sanctions depended on the class of power consumer. Garba’s disclosures were captured in the minutes of the 19th monthly power sector meeting, obtained by our correspondent from the Federal Ministry of Power, Works and Housing in Abuja on Monday, as operators in the sector gear up for the next meeting this month. The minutes read in part, “The vice chair, NERC (Garba), stated that the commission’s order on financial sanctions on meter bypass was ready for signature. He noted that the financial sanctions on meter bypass ranged from N50,000 to N450,000, depending on the class of customer. “He (Fashola) advised the Discos to prosecute offenders at the municipal level by liaising with the respective state governments,” it added. The minutes added that all queries from the Discos on the MDA debts were answered in a memo to the Federal Executive Council, which was forwarded to the Permanent Secretary of the power arm of the FMPWH. 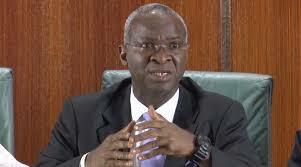 Fashola then suggested that payments should be made on undisputed claims, while the disputed MDA debts were reconciled. “The suggestion was unanimously accepted,” the minutes added. Garba informed the meeting that plans were underway by the NERC to deploy prepaid meters in government’s MDAs to avert future debt accumulation, as the meeting resolved that the Discos should bear the cost of verifying the remaining disputed MDA debts for a period of one to two months. The Market Operator reported that Eko and Yola Discos made 100 per cent payment for services rendered in the month of July, as participants applauded both firms for the feat. The NERC vice chairman also informed the meeting that the commission wanted to meet the minister to discuss tariff issue for some classes of customers.